SERVUS Intralogistics is part of the Austrian technology company Heron. Our passion is development and production of custom-made intralogistic systems with the intelligent and autonomous transport robot ARC (Autonomous Robotic Carrier). 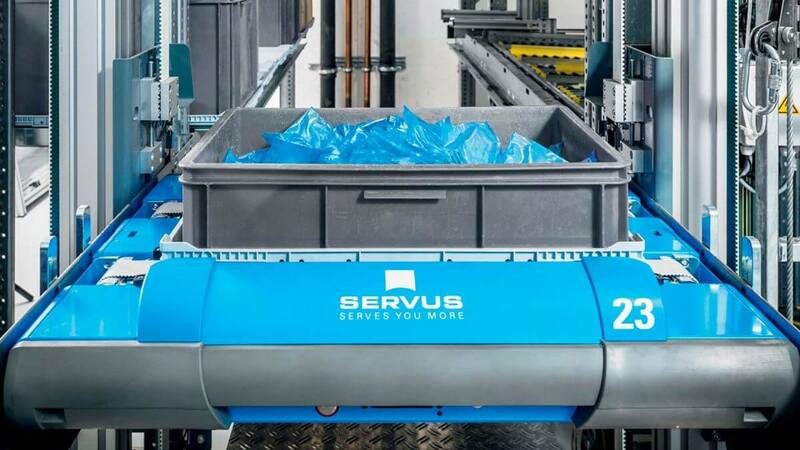 SERVUS helps its customers, to combine all internal logistic processes – from incoming goods via the warehouse, production, assembly or picking to outgoing goods – in a lean flow process. Thanks to the SERVUS system components, your logistics solution becomes your individual process. We advise out customers on the implementation of lean logistics, and together develop the best solution and set it up for them. Owner and managing director, Christian Beer, found the present day parent company, the Heron group. 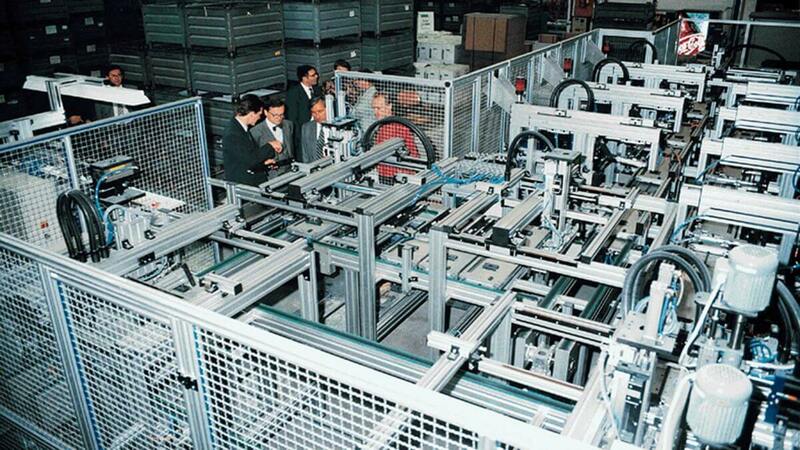 The original core business of Heron, was the development of full automatic assembly machines and special machines. Today, the parent company Heron is the service provider for the subsidiaries. Financial, personnel, basic and product development are their services. Foundation of Robotounits GmbH. After many years of development, the market launch of the Robotounits automation modular system finally happened. The engineers developed a completely new and user-friendly automation kit. Production sites in the USA, Australia and Italy followed suite. In order to be able to react to even more flexibly to changes in production and to the need for an optimum material flow, the development of SERVUS began in 1997. After eight years, the self established requirements of the system are met. 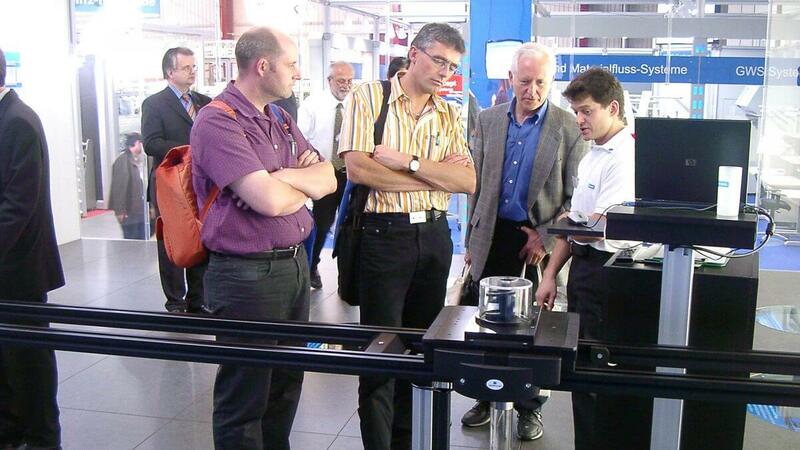 In 2005, the first intelligent transport robot for intralogistics and assembly machines was presented to the public for the first time at Motek in Sinnshein. In 2005, SERVUS was founded. 75 percent of the newly founded company belong to Heron and 25 percent belongs to the Swiss company, Swisslog. 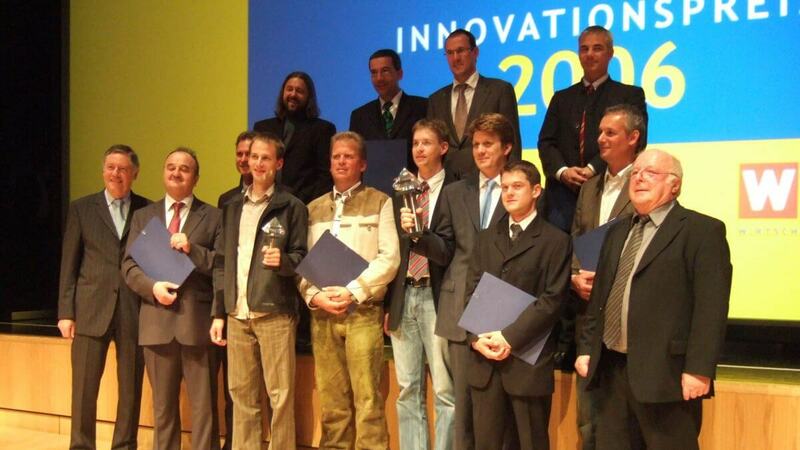 The SERVUS team wins the “Innovation prize of the Vorarlberg Economy” for the development of the SERVUS system. 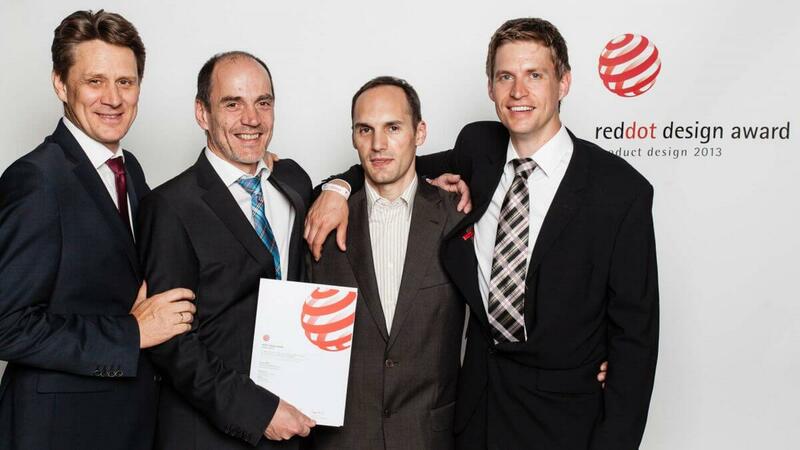 In the following year, SERVUS is nominated for the Austrian national award “Innovation”. Opening of the Heron think tank. The Heron subsidiaries, Servus Intralogistics, Robotounits and Heron CNC technology have the optimum conditions in the intelligent factory on a 6000m² usable area. SERVUS plays a central roll in the new Heron building. The entire internal logistics are processed using the SERVUS system. The SERVUS transport robot is awarded with the “red dot design award” for high design quality. “The unique combination of functionality and design” won over the jury. 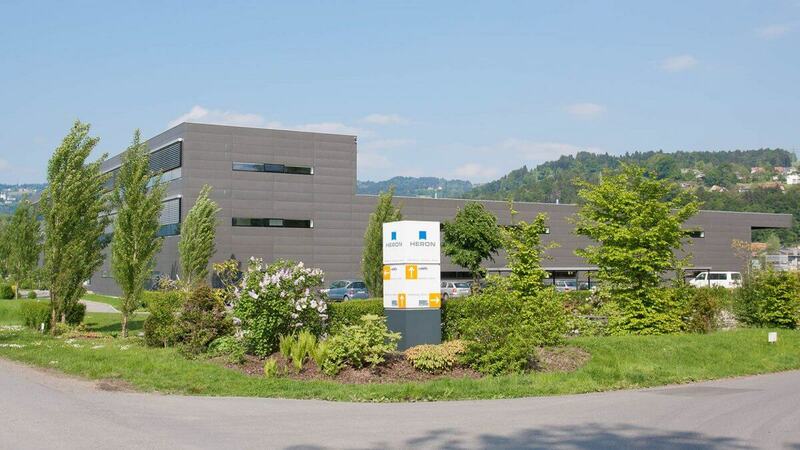 The Heron group takes over part of Swisslog and is thus the sole owner of SERVUS Intralogistics GmbH. At the same time, the first SERVUS system with the ARC3, the autonomous robot carrier of the 3rd generation Comes in to operation. Out of 200 companies, Volkswagen chooses the ten most innovative delivery operations – one of which is SERVUS. SERVUS is conquering the globe with its globally unique combination of a transport robot (Autonomous Robotic Carrier, ARC3) and an attached articulated Schunk robot. 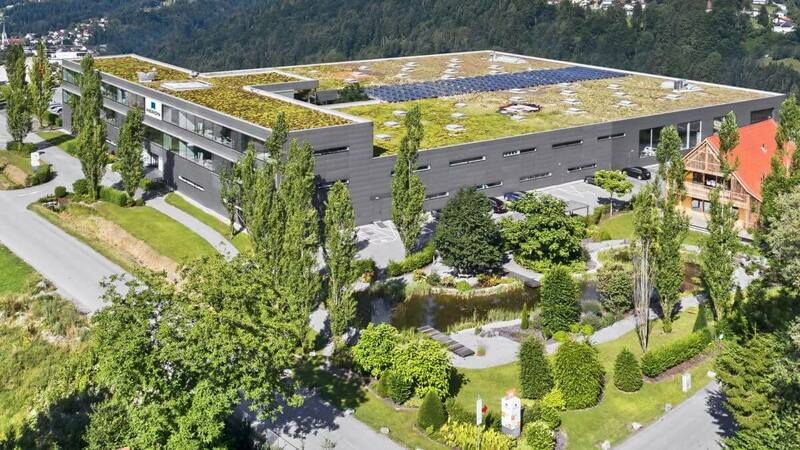 The company headquarters in Dornbirn is expanded. The production area grows by two thirds. 70 new office workplaces are created. All the areas in the company are connected with the SERVUS system. The think tank spawns the innovation factory setting new standards in terms of industry 4.0 and Lean Production. After ten years of successful cooperation, the next logical step was to move even closer together. 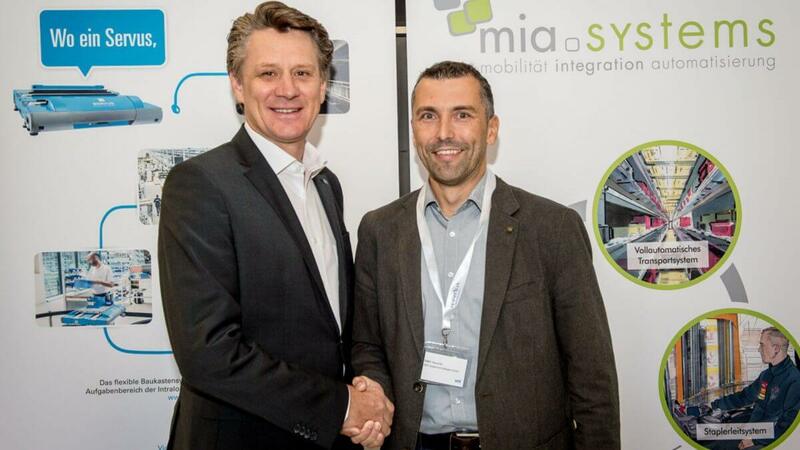 Servus Intralogistics acquires 25.1 percent of MIA Systems & Software GmbH. Thanks to this partnership, customers receive an innovative, bespoke material flow and warehouse software solution, from a single source. The Heron Innovation Factory is the breeding ground for our innovation. Much like the Heron Group’s product philosophy, the company building also has a modular designed. This modular structure of the building, as well as the open and modern layout of the work areas, help us to adapt to changes flexibly and dynamically, much like a start-up. The result is open and direct communication among the employees and a flat hierarchy – from the apprentice to the CEO. We work in an open and innovative way, just like a start-up. logistics and part picking. Each department, from incoming to outgoing goods, is connected with the SERVUS system. Our employees can fully concentrate on value adding activities. In the Innovation Factory, we seek to show the effects of a fully networked factory on people, products and precesses taking all aspects of industry 4.0 and lean culture into consideration. As a supplier to the automotive industry, Heron implemented the fully automatic machine for the steering wheel adjuster in the AUDI A6. During final inspection, Ferdinand Piëch, who is known for being a perfectionist, was annoyed by a noise when adjusting the steering wheel. He stopped the SOP and asked his engineers to get rid off the noise. 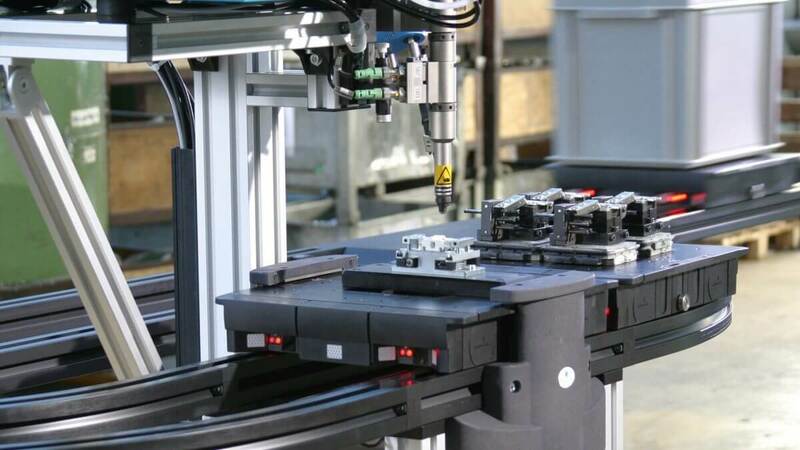 For Heron, this meant mechanically adapting the fully automatic machine, which was already ready for delivery, to match the modified product as quickly as possible. 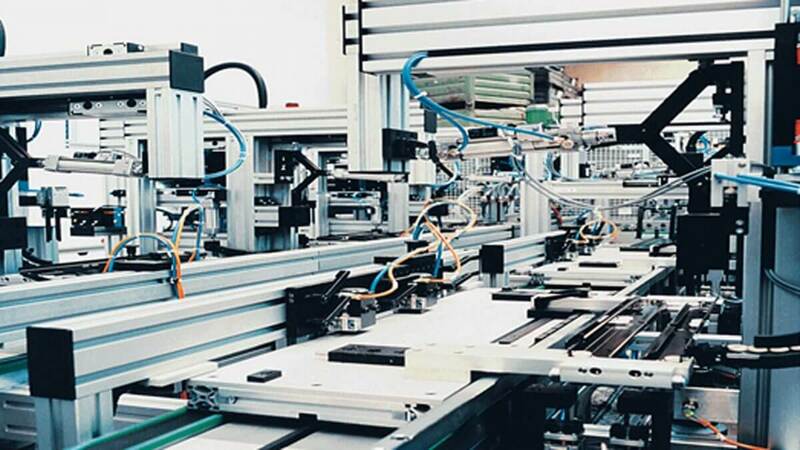 In the Heron development team, there was desire for a more flexible automation system that can be easily and quickly adapted to new conditions. Mr. Piëch can therefore be seen as the initiator of the idea behind the development of Servus. The Heron Innovation Factory was implemented as a low-energy industrial building. Heron does not use any fossil fuels, but instead relies exclusively on geothermal energy and photovoltaics. Heating and cooling are regulated via an ingenious heat pump system. The required geothermal probes are let into the 270 piles on which the building is founded. Triple insulated glazing and thermal insulation throughout ensure values just like in a low-energy house. Controlled aeration and ventilation are further significant parts of the Heron Innovation Factory’s energy concept, ensuring that there is always enough oxygen, the prerequisite for concentration and ability to perform. Innovative facility engineering that controls light and shade, supports the system. Children developing personalities. Heron started working on this program at a very early stage and in 1997 became the first company in Vorarlberg to have company childcare facilities, known as “Löwenzahn und Seidenpfote”. Four loving carers look after children from the ages of 15 months to 4 years. There is a maximum of 8 children in each of the two groups. This is the ideal group size for Heron. The parents decide how often their children attend. “It is important to us that there is no peer pressure”, says Bettina Beer, describing the pedagogical concept. “Whoever wants to join in can do so, while the others head off for a quiet corner, where they can follow their own interests, or let off steam in the activity room. The individual personalities of the children are paramount. “Löwenzahn und Seidenpfote” promotes healthy self-confidence, self-responsibility and creativity. The high quality of living in Vorarlberg is assured by the economic strength of the region. Vorarlberg’s economy is influenced by an enormous variety of industries, including both global players and hidden champions. The “Ländle”, as it is called in the vernacular, is the federal state with the highest per capita export quota in Austria, and the state with the highest rate of industrialisation, as well as being one of the most innovative regions in Europe. With around 50,000 inhabitants, Dornbirn is the community with the largest population in the federal state, and is also the 10th largest city in Austria. Dornbirn is the economic capital of Vorarlberg with a higher quality of life and is approx. 11km from lake constance and 7km from Switzerland. Dornbirn is also the trade fair and university city.